How to Find Contract Jobs in UK .While many people are looking for the security and benefits that come with a permanent position, others prefer the freedom that being a freelance contractor brings. There are pros and cons to contract jobs - the downside being primarily that the job will only last for a specified amount of time and you may not be paid for vacation days or sick days during this period. On the upside, however, you will be able to get some valuable experience under your belt and may form contacts that will prove useful if seeking permanent employment within the industry. Also, some contract workers find that they are offered a full time, permanent position with the company that they have worked on a contract basis for, which is ideal for those who are using contract jobs as a way of filling in time before securing a permanent role. What Does A Contract Worker Do? Contract workers may be in any kind of field, from administration to media and from construction to graphic design. The definition of contract work is a role which is only held for a particular time period, from a few weeks right up to a few years depending on the requirements. Often these roles are designed to cover existing employees' vacations, sabbaticals, maternity leave or sick leave. A contract worker may be paid on a variety of terms, with some in longer term positions often receiving a monthly salary and others being paid on a weekly basis. The hours worked will also vary depending on the requirements of the company. Some contract workers are engaged on the same basis as other full time employees while other contract positions only require the worker to come in occasionally or work from home. Freelancing is a specific type of contract work which often involves the worker being essentially self-employed, determining their own hours and working environment and enjoying the freedom of accepting or refusing contracts as they wish. In these circumstances, contract workers are generally paid at the completion of each project. If you are starting out as a contractor in the UK, you may be looking for advice about how to increase your chances of obtaining contracts and reducing the time in between paid employment. The key is in a targeted approach, and the process involved in finding contract work is different from that involved in seeking a permanent job. 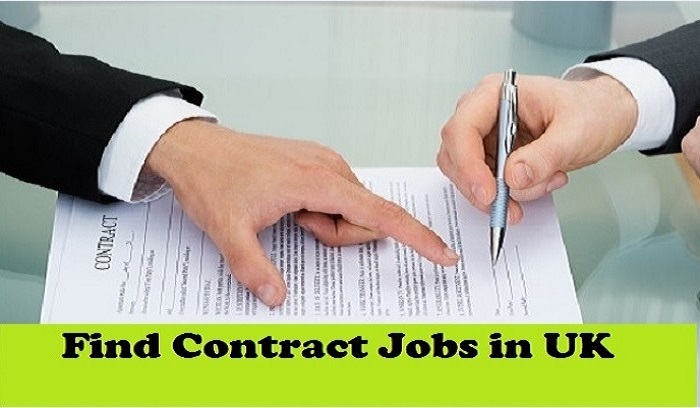 Here are some steps to take in finding contract jobs in the UK. A contractor CV is slightly different to a standard CV for a permanent job. It needs to be tailored, short and targeted, outlining your profile, key skills, work achievements and your career background. It is important to customize your resume to each contract that you are applying for. Around 80% of contract jobs are secure through agencies, so you should get yourself registered with as many agencies as possible. You should also upload your CV to online contractor job boards and make an effort to make networking links both online and in person. When you have identified contract positions that match your experience and skills, tailor your CV to meet the needs of the position and apply via email. Make sure to keep a record of every application that you send and follow up on it if you haven't heard anything within a few days. Contract work is very competitive, so chasing up contacts and staying in touch with agencies will be the most effective way to ensure that your CV is on the top of the pile. Before you attend an interview good preparation is the key to success. Make sure you know what you want to say and prepare responses in advance to the questions that you are likely to be asked. Research the company that you want to work for so that you can tailor your answers to the individual business's needs. Remember that a contract work interview is essentially a sales pitch of your own skills so you need to be proactive and outgoing, really selling your own abilities. During your interview, make sure that you close the deal, asking the interview panel directly for the contract if necessary. You should also make sure that you negotiate your rate of pay at this time too, ensuring that both parties fully understand the nature of the contract, the timings and the conditions of employment.